Some geometric terms and results used in terms of words. • The sum of all the angles at a point is 360°. 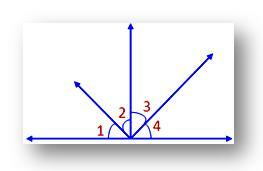 • The sum of all the angles about a point on a straight line on one side of if it is 180°. Two angles are said to be equal if they have the same degree measure. 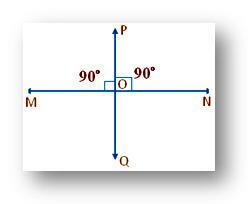 ∠MNO and ∠XYZ are equal angles of measure 90°. 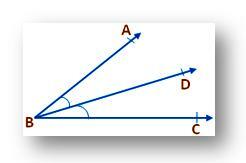 The ray which divides the given angle into two equal angles is called an angle bisector. Two lines in a plane are said to be perpendicular if they intersect in such a way that the angles formed between them are right angles. In the adjoining e, lines PQ and RS intersect at 0 such that ∠ROQ = ∠ ROP = ∠POS = ∠QOS = 90°. 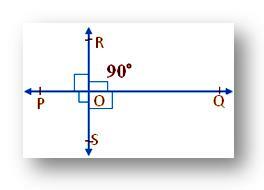 Therefore, we say that PQ is perpendicular to RS, i.e., (PQ ⊥ RS). 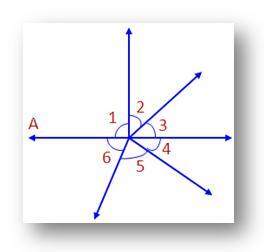 It is the line which passes through the midpoint of the given line segment and is also perpendicular to it. Here, MN is the line segment. PQ is the perpendicular bisector as ∠POM = ∠PON = 90° and MO = ON. Some geometric terms and results are explained along with the specific figure.